To many, the UFC's acquisition of the competing fight series Strikeforce in March spelled the end of EA Sports MMA. While EA Sports' chief of development did not say that a sequel is in development, he did not say the label was quitting the sport altogether. "A world where we're not involved in fighting is a world I'd rather not think about," Andrew Wilson told Kotaku. "That said, what goes on in the sport, and what's gone on between the UFC and Strikeforce, certainly has an impact on what we can do in the space." Strikeforce, as the principal licensor of EA Sports MMA brought some visibility and legitimacy to the project, although both were overshadowed by the dominant UFC brand and its THQ game, which had a breakout hit in 2009 and published a sequel before EA Sports MMA hit shelves. UFC president Dana White has also publicly rebuked EA Sports and said his operation would never do business with it. (Indeed, THQ has the exclusive license on UFC games). With Strikeforce under UFC, an EA Sports MMA title loses not only the second-place (and a distant second) brand in MMA promotions, its ability to include real licensed fighters from that series becomes murkier. Certainly neither White nor the UFC would approve of any new deals. Wilson, for his part, said mixed martial arts is a global sport, not a single league under one owner. "I am, other than [EA Sports MMA executive producer] Dale Jackson, probably the biggest MMA fan here," Wilson said. "I used to watch the fights on pirate VHS tapes in black-and-white. I trained in jiu-jitsu with the Gracie family. I'm a huge fan of the sport. 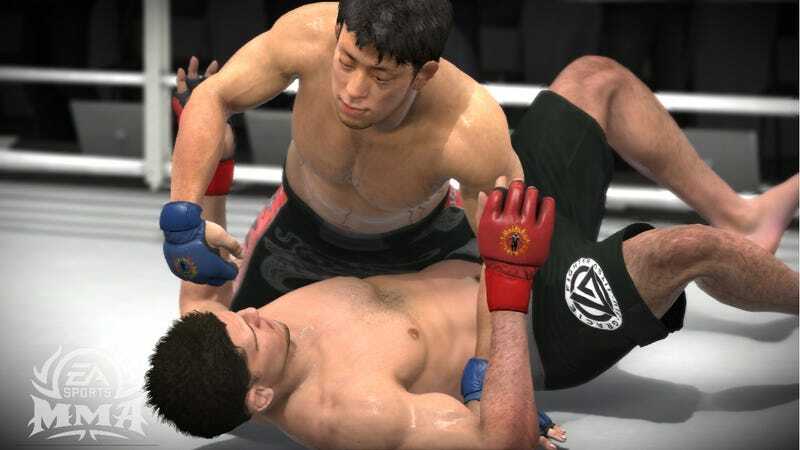 In November, EA Sports MMA producer Jeff Ecker said there would "definitely" be an EA Sports MMA 2, saying the publisher planned to release it and the boxing series Fight Night in alternating years. That, of course, was three months before the UFC picked up Strikeforce. Staying in the MMA business could also mean something other than a console title; there is an EA Sports MMA version available for iOS devices. Fight Night Champion oversees a weaker real-life sport—boxing—yet managed to break out this year with its introduction of a narrative, quasi-role playing career placing players in the shoes and gloves of a fictitious boxer fighting his way to redemption. That could form a basis for an MMA sequel, and the game was stronger in its created-player career mode. Neither of which require licensing. But name brands are vital to simulation sports video games, and not just for the legitimacy they confer. They also represent marketing channels. One of E3 2010's glitziest events was a Strikeforce fight night held in the nearby Nokia Theater, promoted by EA Sports. Other events in Strikeforce's pre-UFC days heavily promoted the label and its game.